Price outside the USA, including international postage $18.00. Our PayPal account email address is info@hotsunfoundation.org. Price outside USA $55.00 including international postage. NOTE: Prices include postage (USPS) and handling. 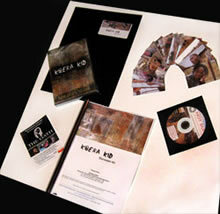 KIBERA KID DVD and Discussion Kit for commercial use, fundraising or streaming. A story of two brothers during the Mau Mau rebellion of the 1950s against British colonialism in Kenya. The Oath is the first short feature film on the Mau Mau, created in collaboration with descendants of the Mau Mau, some of whom star in the film. Go to www.youtube.com/watch?v=5I3SgfHXkuc to see the trailer. Outside USA $18.00 including international postage. NOTE: Prices include postage (USPS) . Price, including international postage outside the USA $18.00 Our PayPal account email address is info@hotsunfoundation.org. If you would like to make a donation to support the work of the Hot Sun Foundation please follow the links below. If more convenient you can donate directly using PayPal. Please note donations via to the Hot Sun Foundations using the PayPal button below are not tax deductible.